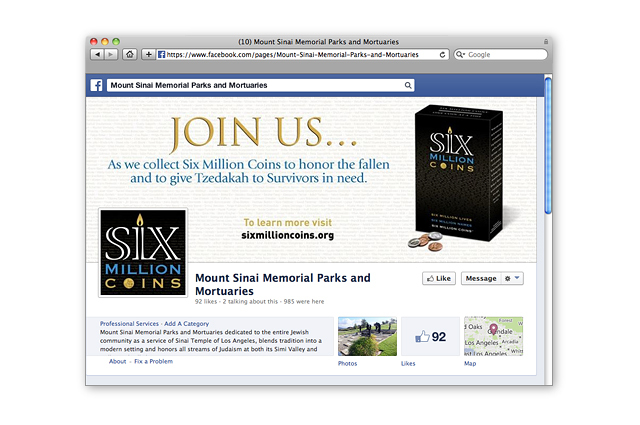 Objective: LITCO has been providing creative and advertising support to Mount Sinai Memorial Parks and Mortuaries since 2010, developing and executing multiple campaigns. 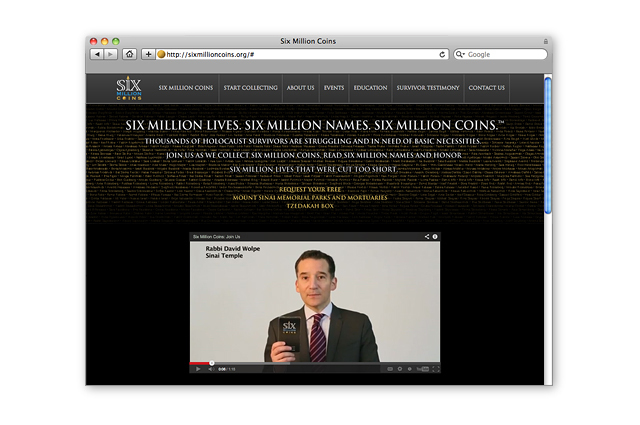 In April 2013,LITCO was given the task of creating a campaign called Six Million Coins™. 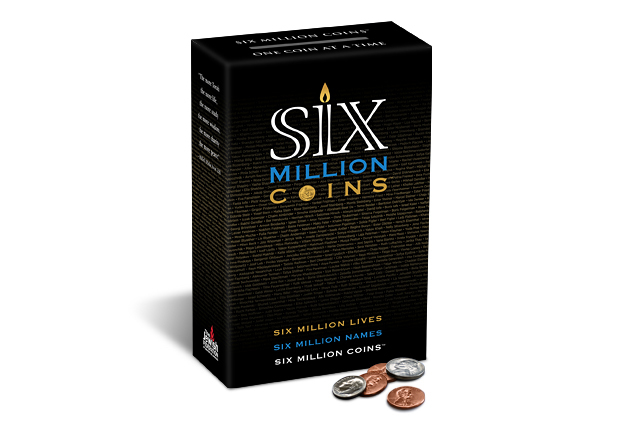 The objective of the program was to collect six million coins to help Holocaust survivors in need of basic necessities and to keep the memory of the Holocaust from being forgotten. 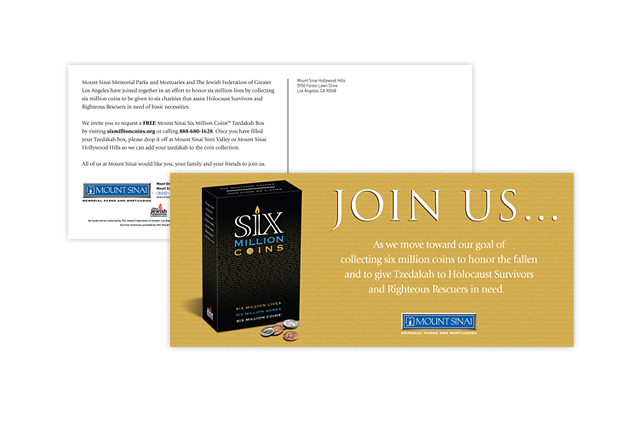 The idea of Six Million Coins™ was created by Mount Sinai, and LITCO was given the challenge of bringing it to life by creating all the support material including a brand identity, print ads and collateral, a television commercial, a website and a Facebook page. 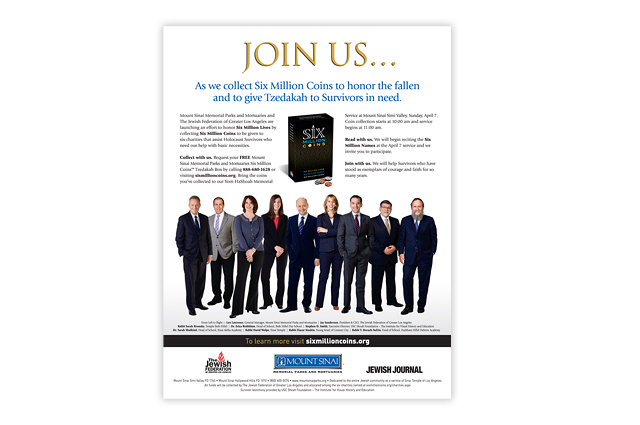 In the first three months following the launch over 1.9 million coins were collected.